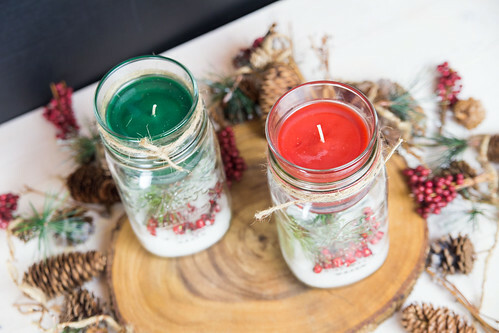 One of my favorite ways to refresh a room during the holidays is to use some scented candles as decorations. 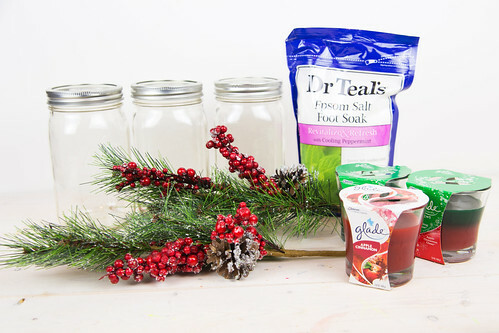 With this DIY Christmas Mason Jar Candle Holder, you just have to add a fun holiday votive to make guests feel like they’re walking in a winter wonderland. 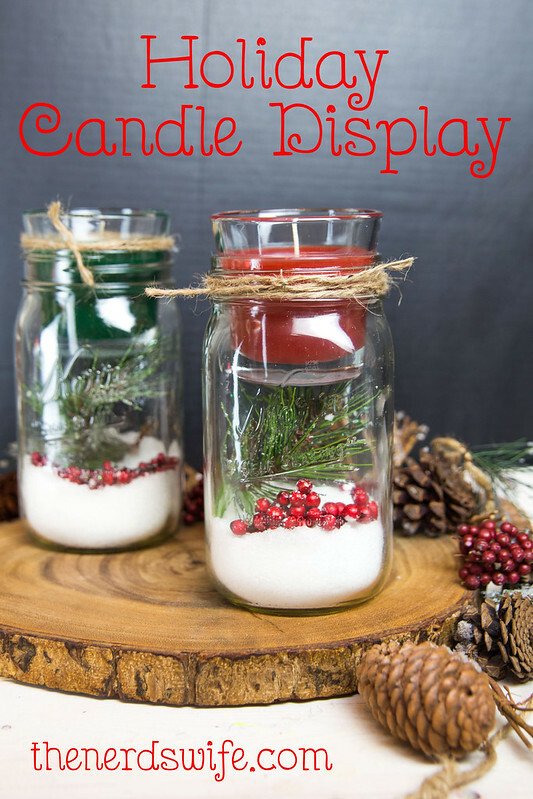 Holiday scents are an easy and inexpensive way to decorate. 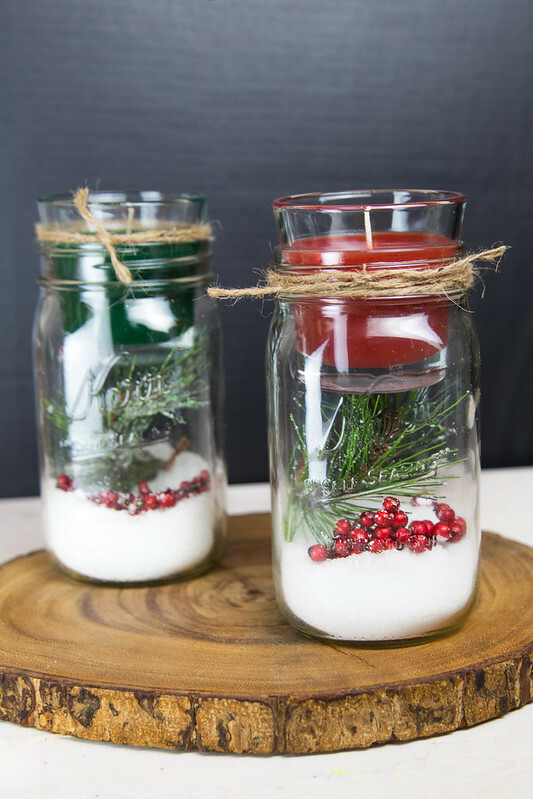 It’s such a small way to add a bit of cheer to your home, and this DIY Christmas Mason Jar Candle Holder is the perfect way to take that even further. If you’re feeling a bit behind in decorating for the holidays, don’t worry! 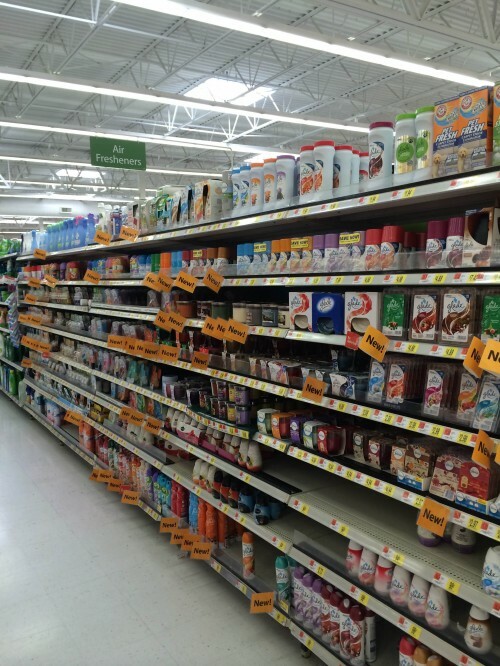 It’s so easy to stop by the air care section of the cleaning aisle at your local Walmart or other retailer. 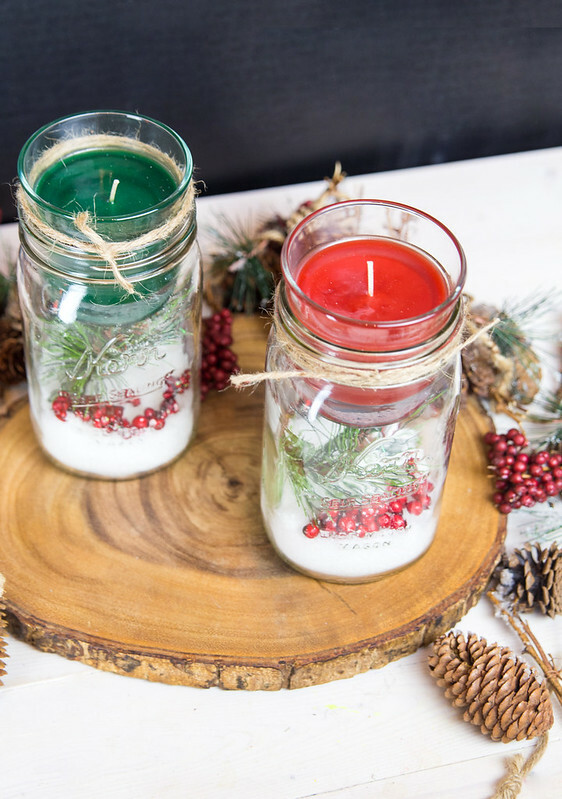 Pick up some candles and just a few other supplies and you can knock this DIY Christmas Mason Jar Candle Holder out of the park. That’s my favorite thing about this project — it’s *so* easy to make! 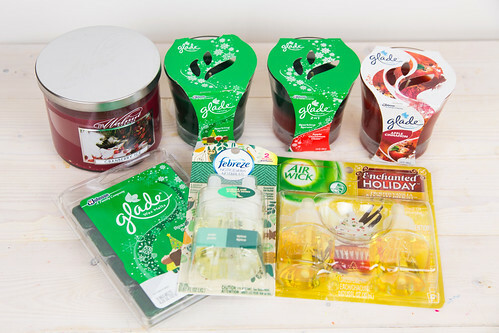 Check out some of my favorite holiday scents! Add some Epsom Salt into the bottom of the mason jar. Add in some cranberries, then a sprig of pine. Set your candle on top of the jar, so that it sits inside the mouth of the jar. I love how it’s the perfect size to just sit nestled in the mouth of the jar. Such a fun way to show them off! 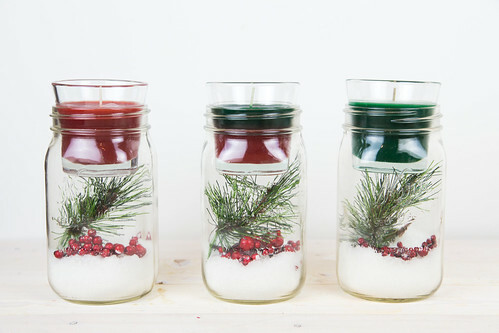 What are some of your favorite ways to display candles during the holidays? Wow these are ADORABLE!! Found your post from a link up, and happy I did LOVE my christmas decorations!